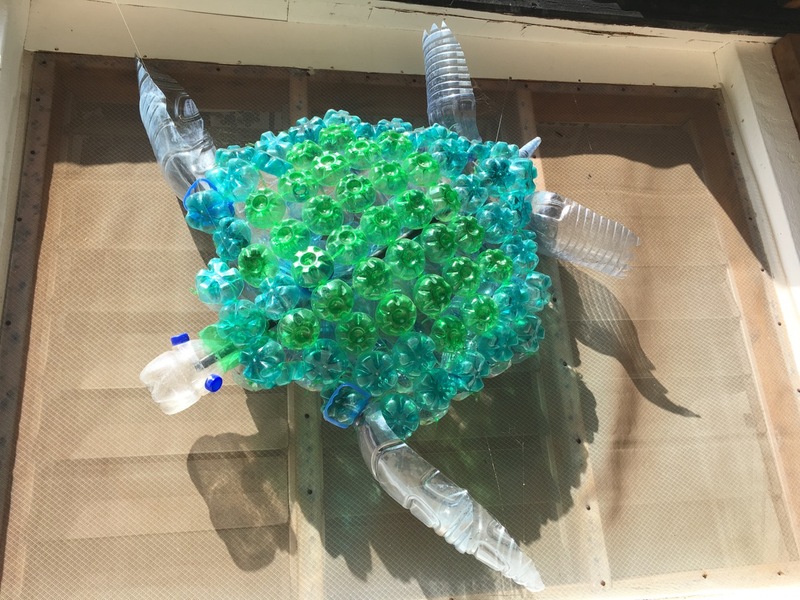 Over the next few blogs we will show some of the ways in which plastic bottles collected from other locations down the beach have been turned into something useful or decorative by the Sand's sustainability team. This is part of an ongoing project to raise awareness to the fact that plastic bottles are actually NOT WASTE but rather quite a useful and valuable recyclable or up-cyclable material. Above is a jellyfish made entirely from 'waste' items. 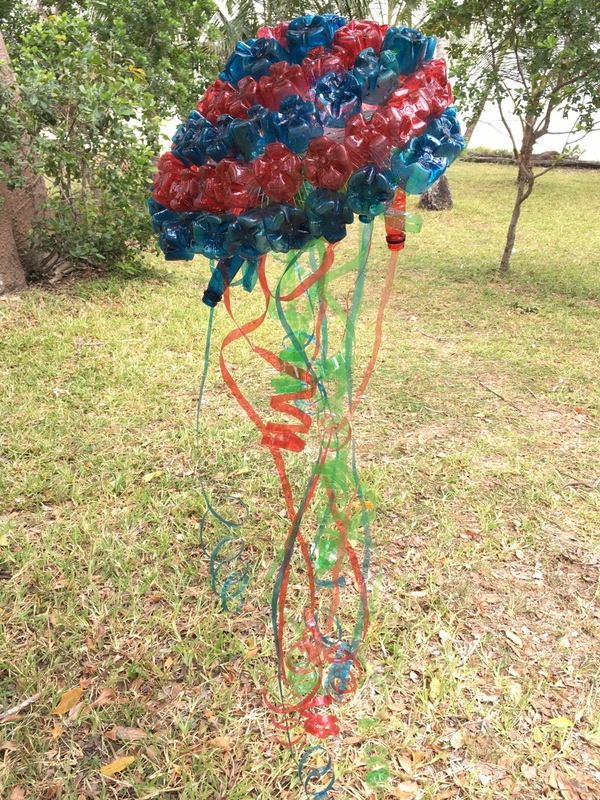 The body and the tentacles have been made from plastic bottles, the frame for the body is an old standing fan cage, the pieces are all tied together using string made from plastic bottles. Below is a turtle made the same way as the jellyfish though the structure is two crossing pieces of black conduit (electrical) piping found in a waste pile. Both these two recycled art pieces can be found hanging outside the Sand's marine center which is located next to the sustainability center.